With the arrival of October, gardeners now feel that we are officially in Autumn. The mornings have a cold snap to them but the days are still warming up into the 70's. This is a busy month for gardeners. Harvesting is wrapping up and cool season gardening is in full swing. This is an excellent time to plant. Unless a hard freeze has occurred, flower gardens should still look OK with some thoughtful pruning and clean up of summer annuals. Watering is still essential and should be applied 2 to 4 times this month. Compost garden debris and leaves. Plan to amend around existing plants, garden areas and lawn with organic products such as Bumper Crop and Paydirt. If you are a fan of Full Circle Compostproducts, their recommendation is BOOST your garden soil with a 1/4" layer and PROTECT over the top 1". This is the perfect time to plant garlic. Garlic survives bitterly cold winters, grows rapidly when the weather warms in the spring, and bulbs in the summer. Ideally, it should be planted 4-6 weeks before the ground is frozen. We still have a great selection of bulbs - including daffodils, tulips, allium, crocus and specialty bulbs found only here. We are pleased to have added an Apple Press to our October schedule. The dates are Saturday and Sunday, October 21 and Sunday, October 22 from 10:00 AM - 3:00 PM. Prep your apples prior to coming, which includes washing and quartering them. It is not necessary to remove the core but do remove any worms. Bring a clean, empty container with a lid to take your cider home. It takes 14 to 16 pounds of apples to make a gallon of cider. This is approximately 36 apples. In October, Santa's helpers are busy transforming the inside and outside of Greenhouse Garden Center into a Christmas wonderland. Outside in the yard, our staff is busy getting our plant inventory ready for winter. October is still an excellent time for planting. Don't hesitate to ask our knowledgeable staff for assistance either inside or outside. What you are looking for may not be where you last saw it but we can find it for you. Greenhouse Garden Center is now taking reservations for out annual Landscape Design Workshop, which is a perfect Christmas gift for the gardener who has everything or the homeowner who is thinking about making landscape changes or landscape upgrades. APPLE CIDER PRESS, 10 AM to- 3 PM. APPLES MUST BE WASHED AND QUARTERED AND YOU PROVIDE YOUR OWN CONTAINER WITH A LID. CALL 882-8600 FOR DETAILS. WOW: Any person attending the workshop will receive 15% off any landscape plants purchased during the 2018 season. Lunch will be provided on January 13 and 14. All classroom materials will be provided. This session will begin with landscape design decisions. The discussion will consider each homeowner's special circumstances and will include new landscape construction as well as renovating existing landscaped areas. Discussion and review of garden styles, home styles and existing landscape considerations specific to the individual homeowner's life style, home style and color and general likes and dislikes will be identified. The homeowner should be prepared with square footage of the area and photographs of the property. This session will involve helping each homeowner develop a site plan. Topics will include site location, exposure, slopes, grading and drainage issues, irrigation installation and electrical requirements. Each homeowner will receive a Nevada Plant Guide as an aid to making good plant choices. Homework will involve plotting the landscape and the irrigation lines on the site plan. During this session drip and sprinkler considerations will be further customized to each homeowners needs. Also, lawn, soil conditions and amendments, fertilizers, plant care and watering issues will be addressed. In addition, hardscape landscaping such as pavers, patios, ponds lighting, statuary, and benches will be discussed. At the end of this session a discussion of tree and plant selection will be conducted with an onsite tour of the nursery to view various trees and shrubs. The final session will be devoted to a review of the homeowner's personal landscape design. Modifications will be made where necessary. This session will also be used as a catch up session for those homeowners who need additional help. Yay, we are officially in fall, which is my favorite season. I love tulips and every fall I get excited to see what new varieties will be coming in. This year I will be planting Color Me Softly, which is a gorgeous pastel blend of colors, and Twilight Sparkle, which is a dark shade of purple with a white center. Tulips offer fun colors, different forms of the bloom and can bloom in early, middle, and late spring, depending on the variety. Besides tulips we have Narcissus in all of its wonderful shades of yellow, cream and white. We also have many other spring-flowering bulbs including hyacinths, allium, Dutch iris and more. Come in and let me show you how to put together a spectacular color display for spring. "Life's too short for matching socks" is the logo for our newest addition to the Greenhouse Garden Center. Artist Marianne Wakerlin has created a marvelous combination of comfort, warmth and whimsy with SolMates Socks. Her cotton knit, mismatched, and wildly colorful socks are created from recycled scraps and are certified by Made in Green and Oeko-Tex, meaning they are inspected for materials free from harmful substances, and made with respect for the environment and human rights. Just in time for entertaining season, these delicious seasonings will turn any ordinary saltine cracker into a gourmet delight! Simply combine 1 package of Canola Oil and 1 package of Savory Seasoning into a zip top back and mix well. Then add 2 sleeves of crackers (not included in the kit), seal the bag filled with air. Toss the crackers in the bag every 5 minutes or continually until the seasoning is absorbed. Let crackers rest in the bag at least overnight, and your family or guests will be amazed. The seasonings come in three flavors, Original Flavor, Texas Chipotle and Garden Dill. Come try them all! Chala is devoted to create handbags that are playful and functional as well as stylish and original. Chala's team of designers strives to create the perfect balance between simplicity and sophistication, believing they both can co-exist based on the principle of "affordable fashion for everyone". Chala offers unique, chic, and playful lines of handbags specially prepared for women of all ages. From simple totes, everyday totes, carryall totes, to versatile crossbody totes, Chala gives these ordinary bags a Chala "touch". Spring-flowering bulbs have arrived at Greenhouse Garden Center, and October is the perfect month to plant them. Consider planting a layered pot, sink it into the ground - and next March, pull it up and place it on your front porch for a colorful welcome. Select some tulips or hyacinths to force. Place the bulbs in a paper bag in the refrigerator for 8 weeks and them pull them out and plant them in a decorative pot for blooming flowers by Valentines Day. 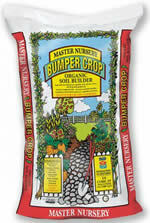 Fertilize the lawn, trees and shrubs one last time with Master Nursery All-Purpose Fertilizer 16-16-16. Apply Dr. Iron or FST to all acid-loving plants, including oaks and maples. In the foothills and on the valley floor the soil is alkaline, so these products can be applied to all plant material, including the lawn. Compost green waste that is not diseased. Dr. Earth Compost Starter is a superior blend of organic materials that actually inoculates the compost pile with necessary microorganisms needed to digest the raw organic matter. Spray your junipers and arborvitaes with Monterey Liqui-Cop to control a fungus which attacks the tips of the plants. If you are noticing this problem, you will need to re-spray again in November. Dig potatoes and gladiolas. Clean out the frozen annuals from the flower, vegetable and water garden. If you have hardy shallow water plants in pots, remove them from the pond, heel them in a trough protected from the winter wind and prune them back. Water regularly. Prune back water lilies and sink them to the bottom of the pond. Do not leave rotting vegetation in your pond. If the pond is not netted yet, do so now. Leaves should not be allowed to collect and decompose in the pond. Tannic acid from leaves turns water brown and is toxic to fish. Spray broad leaved evergreens such as rhododendrons, oregon grape, pieris, and euonymus with Cloud Cover or Anti Stress 2000 this and every winter month to help combat moisture loss through the leaves. Continue feeding the fish; switch to a higher carbohydrate food such as Microbe-lift Cold Weather Food but feed less. When the water temperature reaches 50 degrees, stop feeding the fish. Spray fruit trees and roses with Monterey Liqui-Cop, for dormant disease, and Dormant Oil to kill over-wintering insects, eggs, and spores. Fall color is in its glory at Greenhouse Garden Center. With our climate, we experience some great fall color on trees, shrubs, and perennials. This month, take advantage of David's seminars on Shrubs for Fall Color and Trees for Fall Color. These are walking seminars that will tour various spots in the nursery that showcase fall color. Attend any seminar and receive 15% off on up to 5 items purchased that weekend. This is one of the best, easiest and most delicious chilis for the fall season! Enjoy! 3 jalapeños, finely chopped (if you have someone who can't handle spicy, skip these and serve the chili with a hot sauce instead). In a large stock pot, bring 1 cup of water to a boil; add 2 cups chicken stock , 1 teaspoon of pepper, 1 teaspoon of cumin, and the cans of navy beans (do not drain). Bring all of that to a boil and put the burner on simmer. Chop 3 green peppers and onion into bite-sized pieces. Chop the chicken breast into bite-sized pieces and, in a separate skillet, brown until done. Add the mushrooms, green peppers, jalapeños and onion to the stock pot. After the chicken has cooked and is done, add that to the stock pot. Add the 2 cups of chicken stock. In a separate skillet, melt 4 tablespoons of butter; add 4 tablespoons of flour and stir well (you are making a roux to thicken the chili). After the roux has been cooked through (do not brown, just cook for 2 minutes on medium), add to the stock pot. Stir till combined completely. Raise the heat to medium and allow to thicken. Gradually add the 1 cup of the shredded cheese. Sprinkle the rest of the cheese on top of bowls when serving.